Much like motorcyclists, moped and scooter riders are often the victims of an accident because a driver did not see them. Drivers often turn into the path of the smaller vehicle, or change lanes into it with devastating consequences. Another common obstacle for these vehicles is any debris in the roadway. With very small tires and almost no clearance, a scooter or moped is unable to ride over most small objects in its way. The small tires also make it very difficult for riders to maneuver around or through a pothole or other defect in the roadway. The final disadvantage of mopeds and scooters is that they provide no physical protection to their riders. The much-larger size and weight of every other vehicle on the road means that in a collision, the damage to the scooter or moped rider is often severe. The lower operating speed of a moped or scooter is also a contributing factor, as it makes it more difficult for a rider to evade a potential accident when a car is approaching at a high rate of speed. Drivers have an extra duty to be cautious around mopeds and scooter for these very reasons. For moped and scooter riders, wearing protective clothing like durable pants, a jacket, and gloves can greatly reduce road rash, cuts, and other soft tissue damage in the event of an accident. Wearing an approved helmet will protect against most forms of head trauma. Wearing brightly colored clothing can also help make you more visible to drivers. In addition, check all your vehicle’s lights to be sure that they are functioning correctly, as they will make you more visible to drivers in low-light situations. Additional care and judgment should also be exercised when you’re evaluating the condition or surface of streets to ride on. Loose dirt and gravel can greatly increase the chances of an accident. And finally, always be prepared to take sudden evasive maneuvers to avoid a collision, if you can. As the operator of a moped or scooter, it is important for you to understand how Oklahoma traffic laws apply to you. Mopeds and scooters are required to follow all of the traffic laws that cars, trucks, and motorcycles follow. In addition, a moped must be licensed and have insurance just like a motorcycle or car. A scooter does not require a license or insurance, and it is treated more like a bicycle in the eyes of the law. These vehicles should only be operated on surface streets, as the maximum speed for a scooter is around 25 mph and a moped reaches a top speed of about 30 mph. In the event of an Oklahoma accident involving a scooter or a moped, there may be several parties who are liable. If another driver hit you because he was not paying attention, he is obviously at fault. 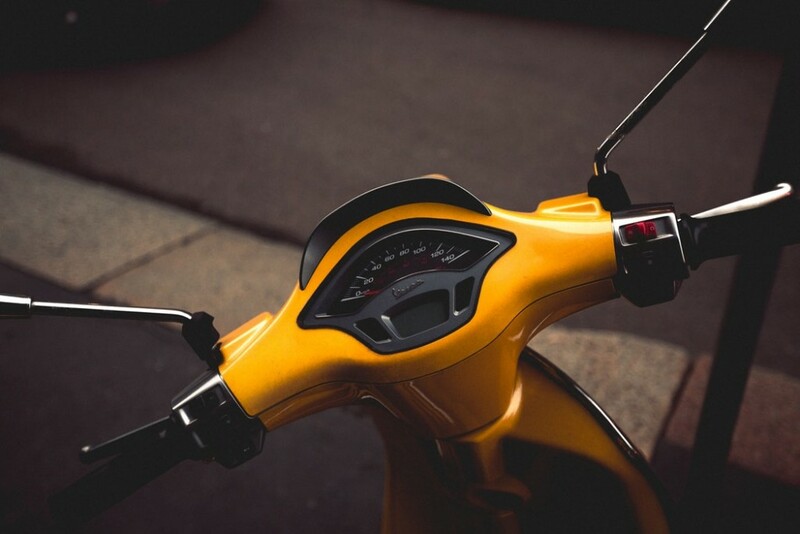 If there was a defect in the moped or scooter itself, then the manufacturer may be liable for the accident. If there was a large pothole in the road or some other type of defect or hazard, the municipality may be liable. To sort out all of the potential liability surrounding your moped or scooter accident, contact the team at Car Accident Help at (405) 285-4357. We can answer your questions and even schedule a free consultation to discuss your options. If there’s compensation available for you, we want to help you get it.